BAT - BLOG : BATMAN TOYS and COLLECTIBLES: George Condo's #BATMAN AND BUNNY Pop Art Painting! 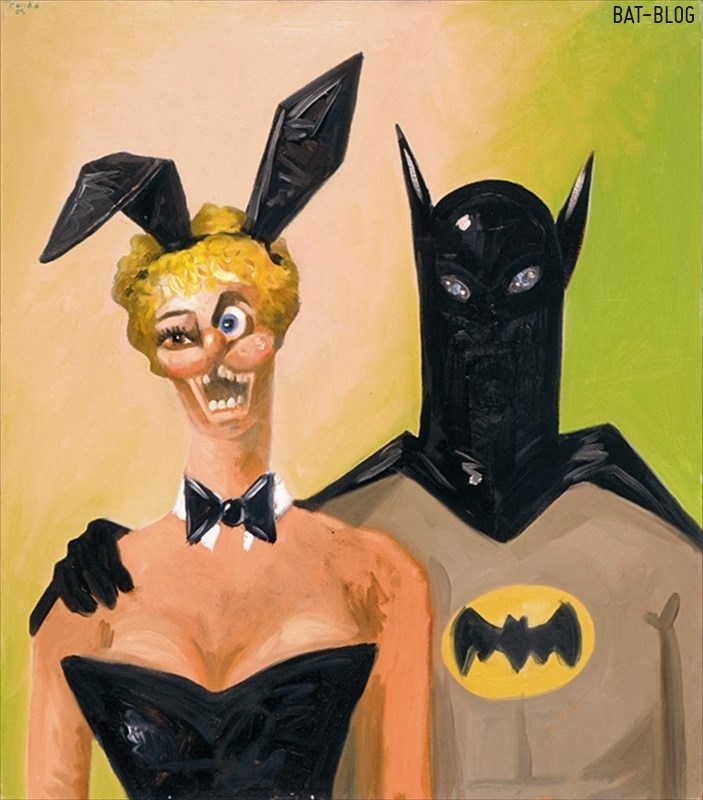 George Condo's #BATMAN AND BUNNY Pop Art Painting! Another passion of mine, other than collecting Batman Toys, is enjoying art. I mean, serious fine art like paintings/sculpture. I go to a ton of art museums and if there is a local event at one of our many art galleries here where I live then I am usually there on opening night. So, it totally cracked me up when I saw this painting by the American Pop Artist, George Condo. This work is titled BATMAN AND BUNNY ©2005, ha ha ha!